Black Beard is an intense 5 day/week, 6-Week cycle designed as the day-to-day programming for tactical athletes whose mission-set includes water-based activities such as SCUBA and water rescue. 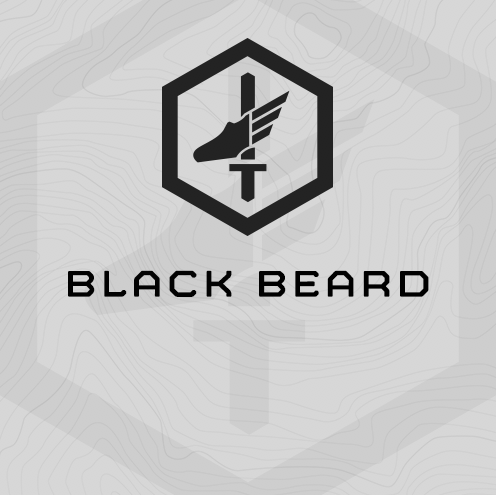 Black Beard is the 2nd plan in the Pirates Series of training plans for tactical athletes with water-based mission sets. This plan trains water fitness in conjunction with the other land based fitness demands for the multi-mission tactical athlete. 1,500m finning assessments and follow on intervals efficiently increase fin speed. See below for the “Fin Interval Chart” to find your interval times. Density strength progression focusing on Craig Specials and Push Press. All progressions are based on multiple assessments with percentage based loading. 3-Mile Ruck Run assessment with 1-mile repeat intervals using the Rucking Calculator for your prescribed interval time. Focus on tactical agility – level and direction change, trained unloaded and loaded. Chassis Integrity is trained 1x/week with a 15-20 minute “ARTE” circuit. Warm Up - Increase the weight each round according to the assigned percentage of your 1RM.